The Judgement Detox Book Launch was different. The launch was less spiritual than usual. I was surprised. But I realized in that moment when I turned around to look at the crowd that this crowd needed something different. They were not ready for all the spiritual woo-wooness and starting with a meditation. They just wanted to feel loved and supported and understood. That’s why they were there. I saw so many new faces. 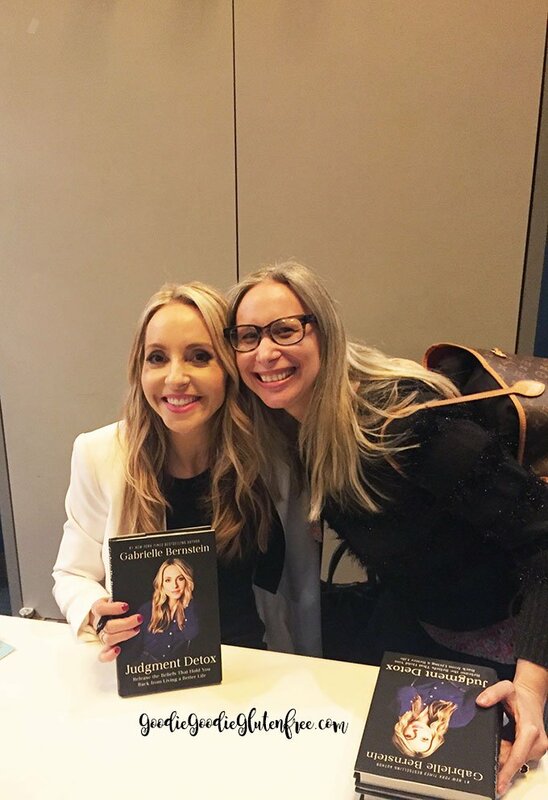 I spoke to so many new people that had never heard of Gabrielle Bernstein before and were coming because they had heard she believed in a different way, a different perspective and they too wanted to feel different. Something more. It’s funny how we all crave love, yet we judge SO much. We judge ourselves. We judge each other. We judge our friends, our family, our co-workers, our enemies and so on. And some of us don’t even realize it. Some of us are judging them for judging us, and it’s all still judgment. 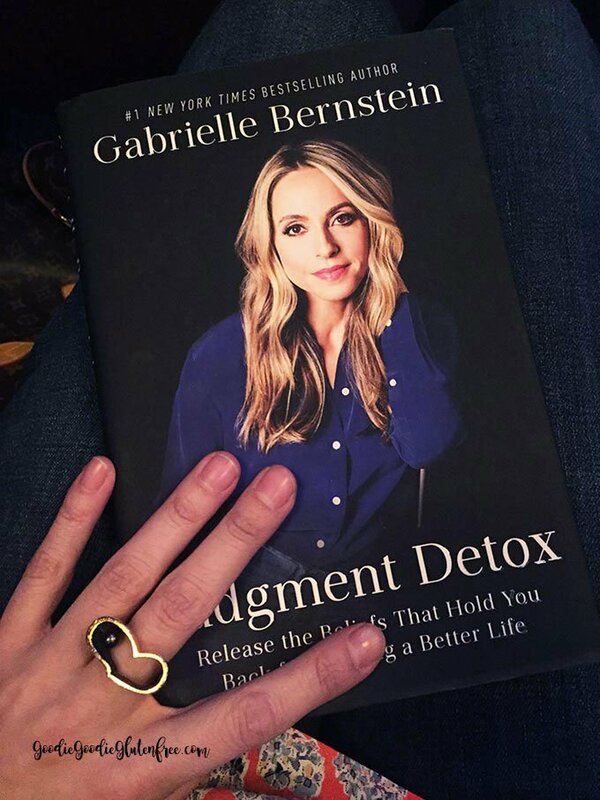 All that judgment is negative and does not fuel a happy and peaceful life and that is the point of Gabby’s book Judgement Detox. This is not about fixing the other person, it is about doing different self-care exercises going DEEP below those layers we don’t even want to admit are there and rise from them by looking at and healing what we don’t want to see. So in case you’re new to Gabby’s books let me explain that you can’t just knock it back in a weekend. There are deep exercises you are NOT going to want to do, but they are imperative in order to move forward in this book and in your life. These are the exercises you will completely resist. I even felt myself in total resistance! I even said it out loud, because that helps to honor your feelings and not get stuck in them. I say ok. “I’m really feeling resistant towards this”. In that resistance, I’m almost two chapters in and it is mind-blowing. And I’m doing it alongside May Cause Miracles it’s is a really nice ritual. 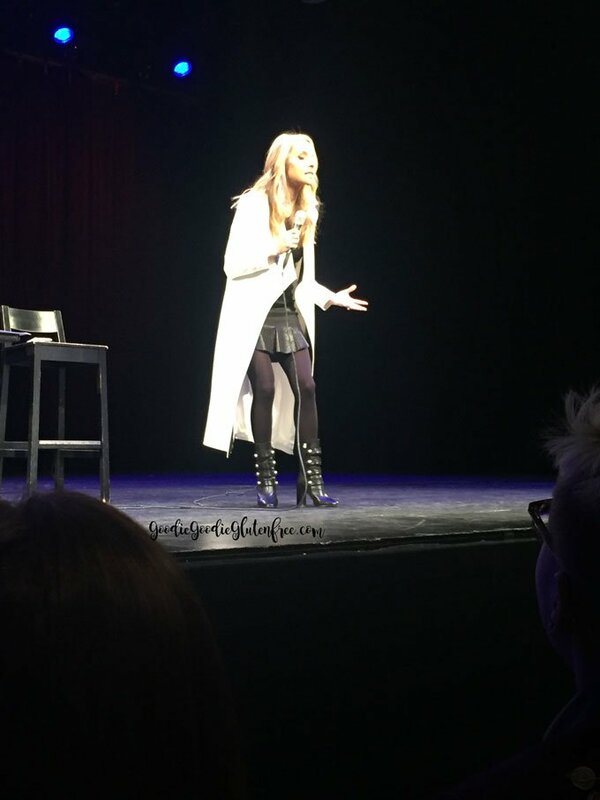 While I usually write up all the quotes I saved from the night for posts like these, I didn’t really write a lot down because I was really listening and being present. I took down what I knew would move me, and I left the rest. Then for half a second I thought, I don’t judge that much, I don’t even need to do this book. What a laugh right? Because guess what? We all judge. And we do it all the time. When I got through the first exercise of writing down 15 ways we judge, how it makes us feel, why we feel justified to judge them and what childhood moment triggered our shame around this, I was like WOAH. I sat in front of my list that I did on an Excel chart on my computer and was like WOW! It really puts things in perspective. Judgement is like a cocktail of messy chaos. We judge even though we have no idea what the other person is going through. We can assume, and usually what we assume isn’t even the truth. We each walk in our own shoes, and it’s time to get kinder. It’s time to stop judging and just be vulnerable and open. It’s time to rise and leave our judgment behind. 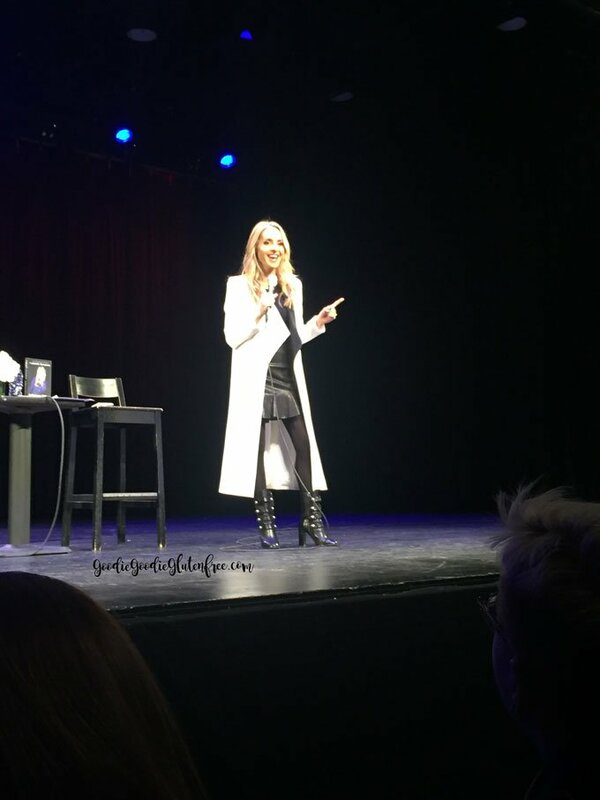 The purpose of this book is to really value where we are right now and to drop the judgment and instead focus on ourselves because that is where the change is going to happen. We also want positive change, not negative chaos. So if you”re looking for that kind of clarity, then you need Judgement Detox. For this launch, I sat second row, third person in. Best seat in my book and why do I get the best seats? Because I’m not the early type but I am the type to go to these events by myself and it always lands me second row, well at least lately! 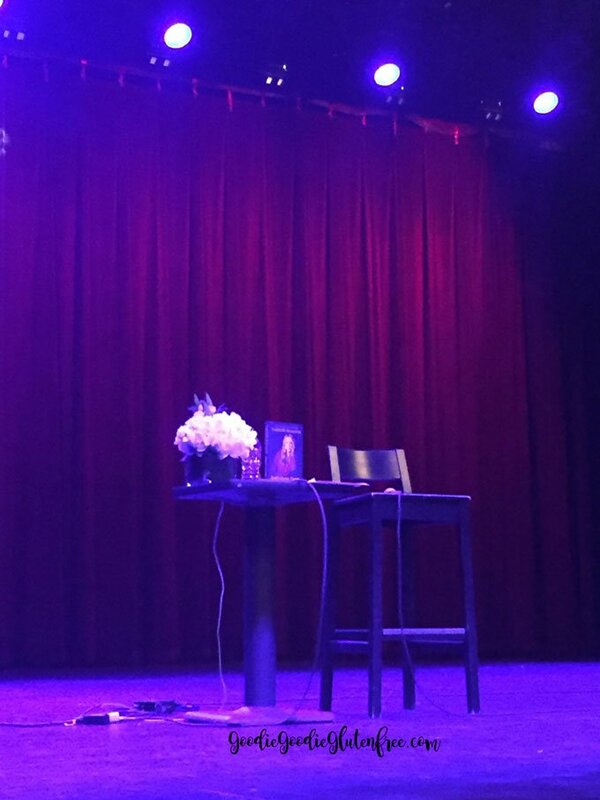 When I left the event a tiny little miracle occurred, at least in my book. In the 12 degrees weather, I not only got a taxi but the girl who haled it happened to be going to the same street I was going to and had also just come from the Gabby event. Now, that in Manhattan, in the Winter is a miracle! She was new to Gabby’s work. She was afraid to say the word spiritual. There is a new crew of Spirit Junkies on the rise because, in this time in our world, everybody needs something different! Here’s what this means. It’s seeing someone for the first time sans all the baggage and issues to attach to them. You see them as them. As new. As human. As if you are meeting them for the first time. See them differently. And when you see them differently, write down a list of everything you love about that person. The point? To mend relationships and change the way you view and handle relationships. “Cut the energetic cord.” – Don’t fear if you cant get this one. It took me 3 years to feel the release when you cut the energetic cord. “Don’t mess with your mission.” – One of my favorites! Curious about Gabby’s other launches? Wanna feel Gabby’s vibe? See what she’s all about? To the Judgement Detox life!